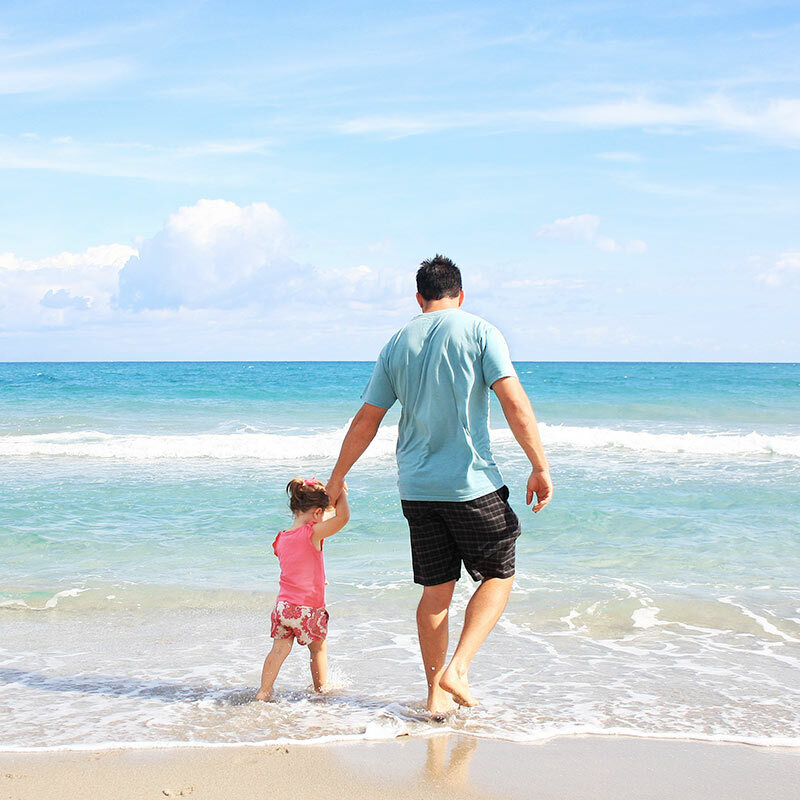 When looking for that perfect beach vacation spot you look for: proximity to the beach, swimming pools and numerous activities or attractions to help make your families’ vacation one to remember. When you stay with Sandpiper Cove, you can rest assured your vacation will create long-lasting memories and you will want to keep coming back! Wake up just steps from the emerald green waters of Destin when you stay in one of our beach-front condos. The expansive balconies are complete with tables and chairs overlooking the water allowing you to take in the views with your families in the morning and night. Are you planning on fishing while you’re on vacation? 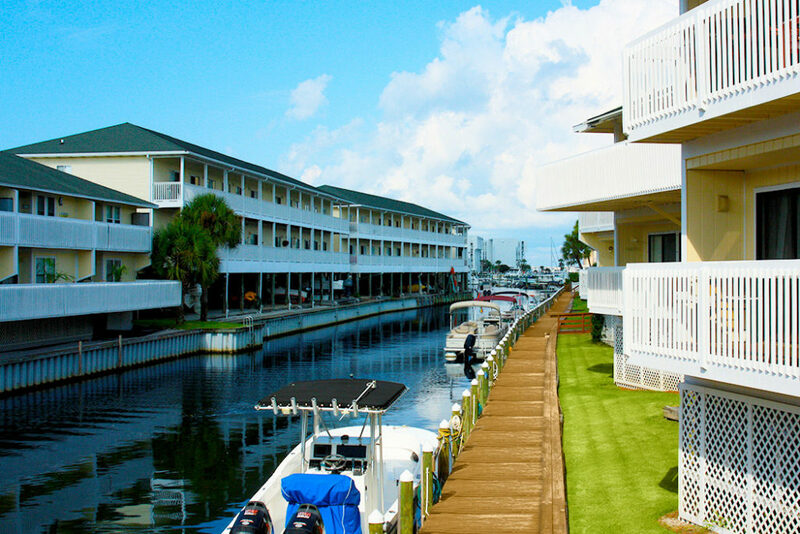 Our canal condos are perfect for those docking boats with Sandpiper Cove! Explore Destin on the water and easily venture to the local’s favorite spot: Crab Island. Family vacations aren’t complete without friendly games of golf or tennis! Overlook our freshly painted tennis courts or the lush green lawn when you stay in our condos overlooking the tennis courts or golf course. For additional floorplan options, please book your vacation online! We can’t wait to have you experience Sandpiper Cove! Our 43-acre resort is perfect for family reunions, vacations or weddings. Enjoy 1,100 feet of private beaches, complete with beach chair and umbrella rentals. Create lasting memories while splashing in the Gulf waters, building sandcastles and lounging under the shade of an umbrella. Join a friendly game of golf with your family and friends on our 9 hole par 3 course; perfect for novice and expert golfers. Our Destin Vacation Condos are conveniently located throughout Sandpiper Cove are five swimming pools and three hot tubs! Jump into the sparkling blue water when you’re not soaking up the sun on our beautiful beaches, or playing a quick round of golf or tennis. Create endless memories when you book your Destin vacation condo with Sandpiper Cove. We can’t wait to have you!